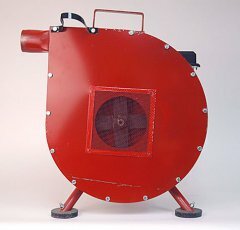 Will blow honey bees out of your honey supers quickly and efficiently in any kind of weather. Forget fume pads and chemicals. Blower may be used to assist requeening or to move bees any time. 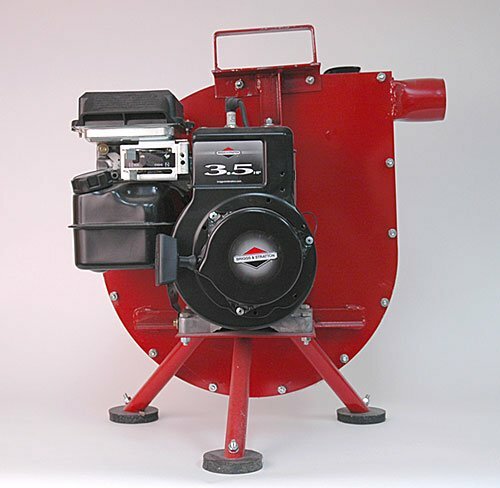 3 1/2 hp gasoline engine. Complete with 10 foot hose and nozzle. Moves up to 1500 ft. 3 of air per minute. 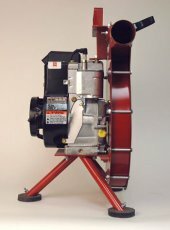 Replacement blower hose, collar and nozzle available.